I went to Rio earlier this year, and I had a whirlwind romance…with cachaça, a rum-like spirit made from sugarcane juice (as opposed to molasses, which is used to make rum). London Cocktail Week kicks off today, and to celebrate here’s my Caipriniha recipe! If you’ve never had a Caipriniha, you are missing out!!! The Caipriniha is the Mojitos squat, Brazilian cousin… made with cachaça instead of rum, shaken (not stirred) and without a mint leaf in sight… it’s heavy on the lime and deliciously refreshing.. and to quote a very wise Brazilian “try to remember it’s not lemonade!”. 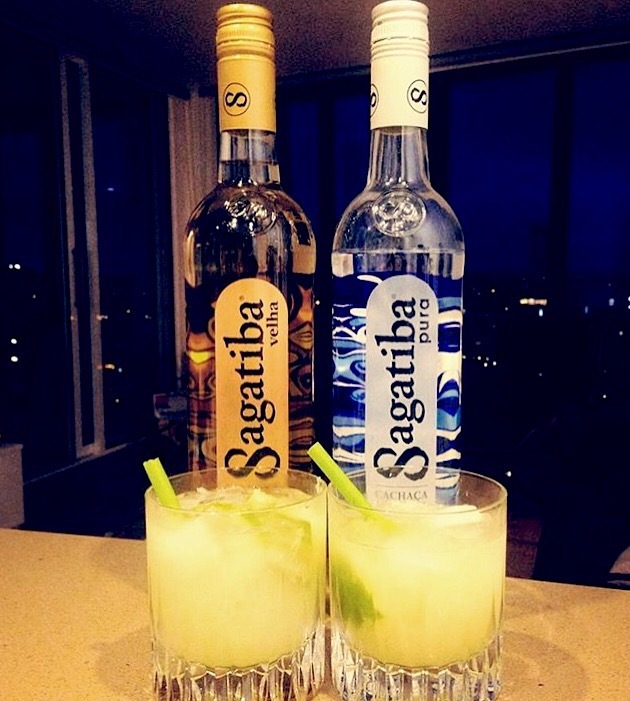 I brought two bottles of cachaça back from Rio to make these at home, but it’s available in most large supermarkets in the UK (M&S definitely stock it)… if you can’t seem to get your hands on it a Caiprioska is made the same way but with vodka, but for me it just doesn’t quite match up to the original! Saúde! Muddle together the sugar, lime pieces and cachaça in your glass (basic wooden or plastic muddles are very cheap, failing that use the end of a rolling pin… or similar). Fill the glass with ice. Attach a shaker over the end of the glass and shake until the shaker feels cold in your hands. (Make sure you’re glass fits into your shaker, if not you can do the first step in the shaker with a lid… if you haven’t got either of these things, the guys on Copacabana beach literally just used tupperware boxes, get creative!) Pour into a short glass… if there’s room in the glass add a few more ice cubes… Enjoy! Note: Like rum, cachaça can be clear or golden.. the golden ones are aged cachaças. While you can use the golden rum in a Caipriniha, the clear stuff is generally what gets used in Brazil, it doesn’t have that aged taste and the cocktail is more balanced. Saying that, if you want to go with a dark cachaça, stick to the Mojito rule… keep your sugar the same colour as your spirit!